Yesterday I recieved my Rustic Romance kit and I am so in love with it. 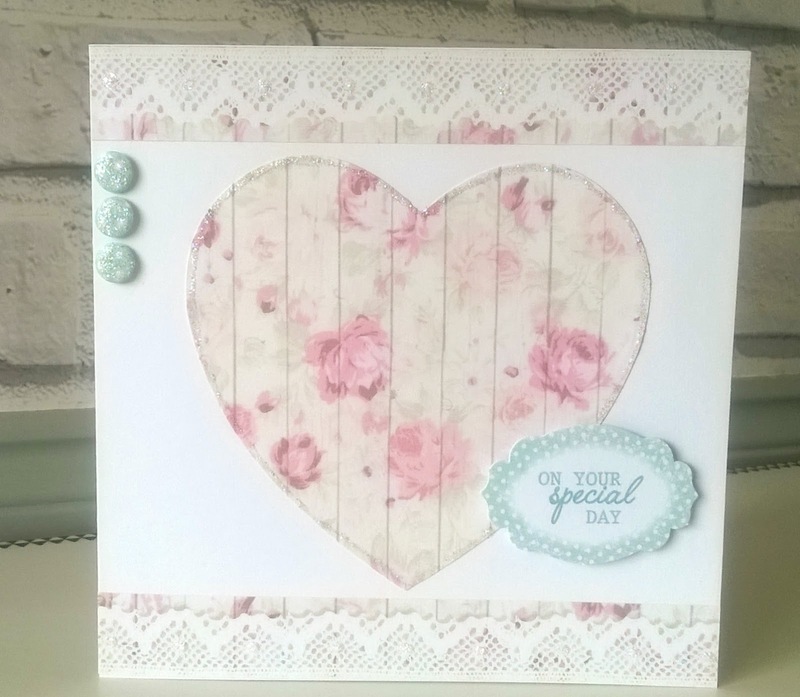 It's a very feminine kit with washed out roses on a white plank background and soft blue and pinks. 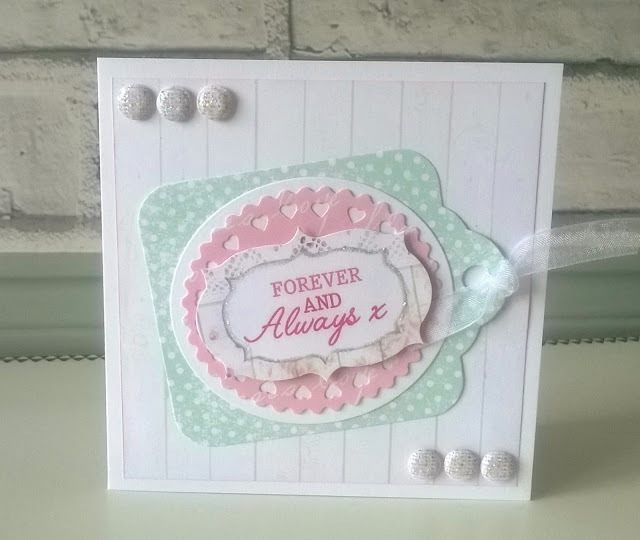 This tag card uses the paper from kit and a tag die set from Tonic, all I added was a bit of glitter glue and some ribbon. 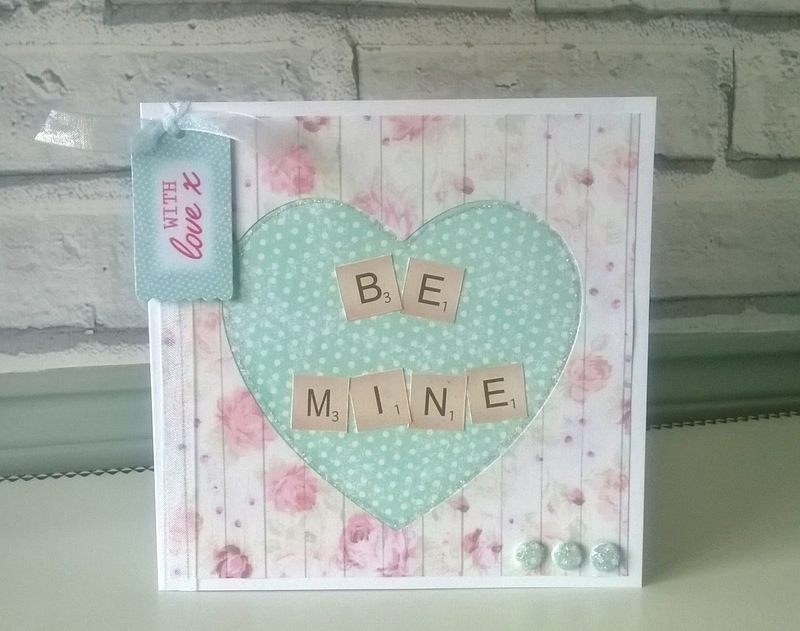 For this card I die cut a hear from the roses panel paper and stuck it over the blue dotty paper. I added some glitter glue around the aperture and on the candi. The letter tiles are also from the kit, as is the tag. This card is made using 1.5" circles folded around a 1" square, I accented with pearl drops and glitter glue. 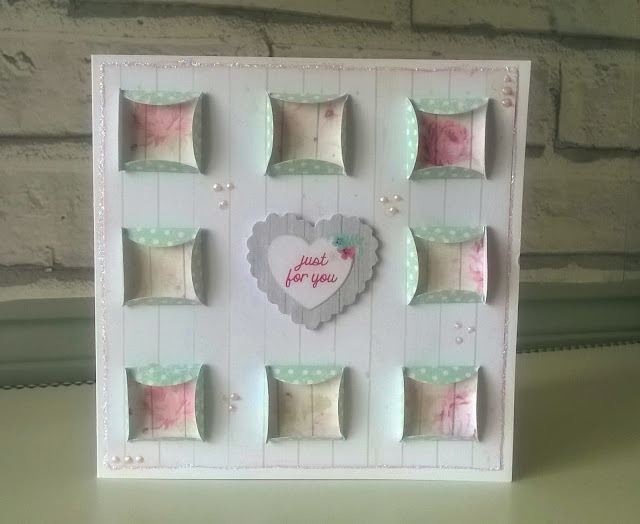 This is a simple card made using 8 squares with a heart cut out of them. I've kept all the hearts to use on another card in the future. 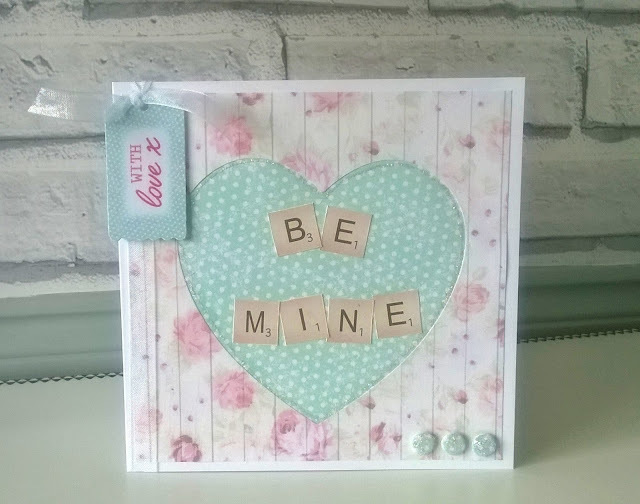 I love this card, 1 sheet of paper, 1 sentiment and 3 candi, so simple yet so effective. I am sure their will be many more cards to share using this kit.